Having federal and state tax issues could cause you to feel anxious and overwhelmed. It is highly recommended to seek assistance from an experienced tax lawyer near Centreville VA. Sodowsky Law Firm, PC services clients throughout Northern Virginia and nationwide in diverse tax cases, and we work hard to minimize your financial hardships related to collections, tax audits, and litigation. If you’re interested in the tax, audit, and tax appeals laws in Virginia, reference the information below or contact our office for further details. If you are being audited by the Internal Revenue Service (IRS), your safest plan of action is to immediately contact a tax lawyer near Centreville VA. IRS tax audits are time-sensitive and could be overwhelming without expert help. For example, IRS auditors will conduct a thorough investigation of your financial information to determine whether you sufficiently paid your taxes, including requesting you provide an accounting of your claimed expenditures and deductions. One mistake could have long-lasting, serious repercussions. Consulting a tax lawyer near Centreville VA can help you comprehend the reason for the audit. At Sodowsky Law, we can help you throughout the investigation and, if needed, appeal process by timely and efficiently handling much of the audit and appeal-related tasks on your behalf. Tax Levies: Seizing your assets and property to recover your unpaid taxes. Tax Liens: Obtaining a legal claim against all your property, including any acquired after the claim, or lien, is filed. Even if you owe unpaid taxes, you may still be eligible for tax relief. 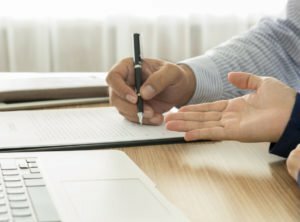 A tax lawyer near Centreville VA can assist you in avoiding and resolving liens and levies by conducting negotiations, appeals, and other procedures. At Sodowsky Law, we can negotiate a reasonable reduction and/or restructure of your tax debt. Tax Court: Most tax issues are resolved in tax court where the judges are specialized in tax law. Using their extensive knowledge, they resolve many tax-related disputes. Distinct from other forums and court options, you do not need to pay your disputed or unpaid tax bill prior to requesting a hearing in Tax Court. U.S. District Court: Federal judges with the United States District Court review, amongst other legal issues, tax disputes. If you have paid your assessed taxes and exhausted your administrative remedies, your tax lawyer near Centreville VA will help you petition the District Court for a refund. Distinct from other tax-related courts, you may request a trial by jury in the District Court. Federal Bankruptcy Court: Judges in bankruptcy court may determine the veracity of the IRS tax liens and bills. They also have the authority to discharge or eliminate particular unpaid taxes. Court of Federal Claims: Situated in Washington, D.C., the Court of Federal Claims handles voluminous tax disputes, especially for businesses. You could petition the Court of Federal Claims for a refund if you have paid your assessed taxes. A tax lawyer near Centreville VA such as Mr. Sodowsky can evaluate your case and help you determine whether it would be beneficial to file with the Court of Federal Claims. Besides deciding on the best forum to litigate your tax dispute, litigation also requires extensive tax law knowledge and legal skills. At Sodoswky Law, we effectively present evidence, argue your position, and conduct negotiations on your behalf. Call us today for help crafting a rock solid litigation strategy to meet your tax goals. We can also help you with your Virginia state tax conflicts. The Commonwealth of Virginia’s Department of Taxation is less formal compared to the IRS; however, they will aggressively collect your unpaid taxes. Using our wealth of tax and business knowledge and experience, Sodowsky Law can develop creative strategies for your state and local tax issues. Elden Sodowsky, founder and principal of the Sodowsky Law Firm, has over forty years of experience and knowledge handling complex business and tax issues. He provides his clients with personalized representation and tenaciously fight for the results they deserve. If you’re looking for a tax lawyer near Centreville VA, contact Sodowsky Law at 703.457.1613 today. Our office is conveniently located less than fifteen minutes east of downtown Centreville, VA close to the Fairfax County Parkway interchange and I-66.